As a non-cyclist, I’m not sure I quite get the need for cycling cafes but they are a thing. 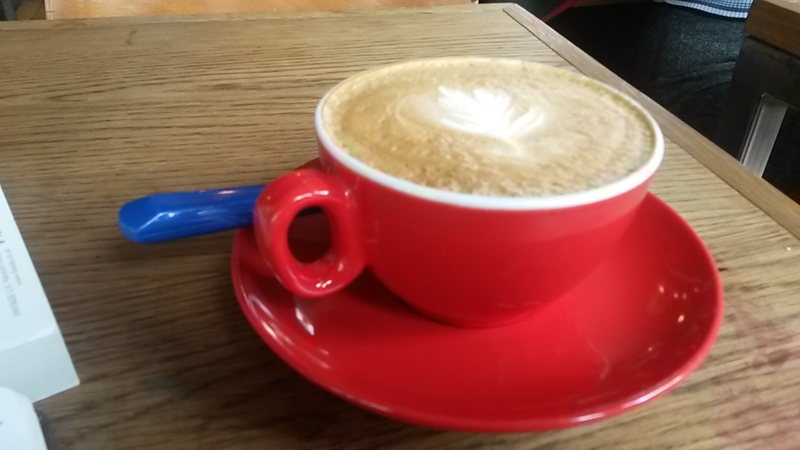 More than a thing – Coffee Stop had an award specially for cycling cafes. So, when the owners of Archway’s excellent Bread and Bean decided to open a new café just round the corner on Holloway Road, choosing a cycling theme wasn’t necessarily a bad idea. 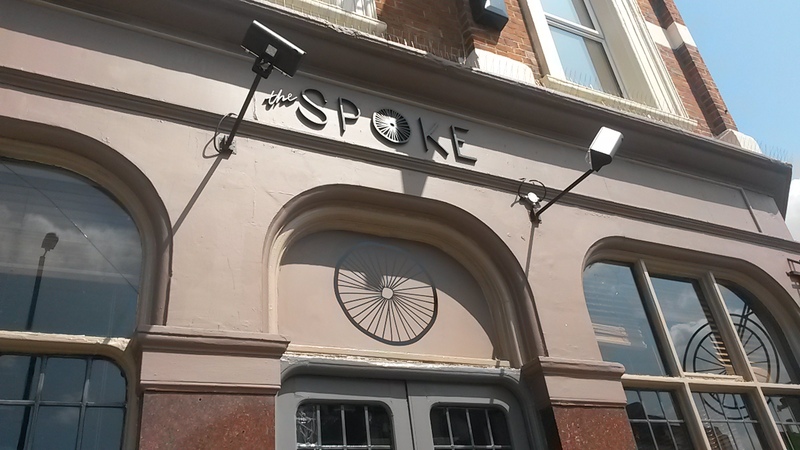 Perched at the top of Holloway Road in an old pub, The Spoke is in a prime location for commuters heading from north London into Angel, Camden and King’s Cross. As this is the same team that brought to us Bread and Bean, I expected the coffee to be top notch. And it didn’t disappoint. The Union Hand-Roasted Coffee is creamy and luxurious, with an intense espresso kick and a hardy serving size to keep those riders going. 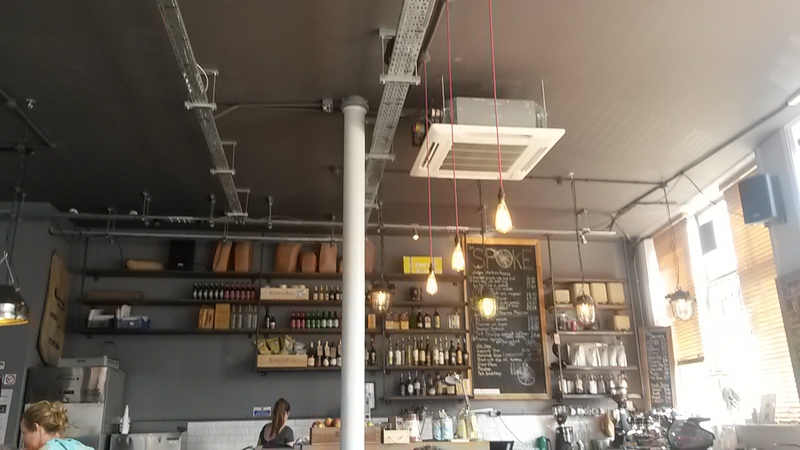 While it might seem easy to convert a pub into a café, it can be quite hard. Pubs tend to be large, high ceilinged rooms that are packed full of groups of people. Cafes, meanwhile, are small, cosy rooms, dotted with couples or lone drinkers. However, The Spoke manages to make the huge area work for it. What was once the bar is now a computer area with high seats and plugs. Elsewhere there was a bit of everything – low, comfy sofas, a big sharing, dining table and tables for twos and fours. The décor was light and airy with white tiles and large sunny windows. In fact, there seemed to be something for everyone here and it’s the kind of place I could see myself spending an afternoon. Not only is this a cycling cafe, but it’s also a burger joint, according to its website. However, there wasn’t a huge selection of burgers and you have to order fries separately. It does have good sandwiches, including a pulled-pork monster, which, though tasty, was a little hard to eat without getting meat juices on my hands. They do have a good breakfast selection and some ‘monster sides’. Fast, friendly and efficient. They provided table service and good baristas, who knew how to make a coffee. While it is bike themed, there didn’t seem to be much happening other than the name. The free Wifi and late night cocktail offerings are the only extras on offer. 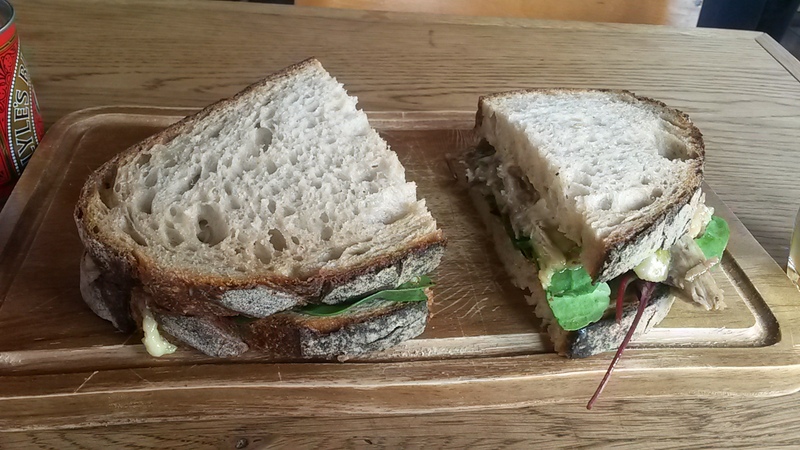 This is a great café that serves good food and has something for everyone, not just cyclists. Hopefully it will add to the regeneration of the Archway/Holloway Road area (Arc-Hol? ).